The sun's UV rays that reach us here on planet earth consist of either UVA or UVB rays. The UVC rays are the shortest and are stopped by the ozone layer from reaching us. Ultraviolet A rays are 320-400 nm, while Ultraviolet B rays are only 290-320 nm. The diagram below illustrates how the UV rays fit into the wider Electromagnetic Spectrum as well as the Vacuum UV and Visible UV, plus the various lengths. Historically, sunscreens were first made to encourage us to obtain a great tan. However, since the advent of skin cancer research persuading us to wear sunscreen (or sunblock), most sunscreens were made to block the UVB rays only, the ones that cause sunburn. 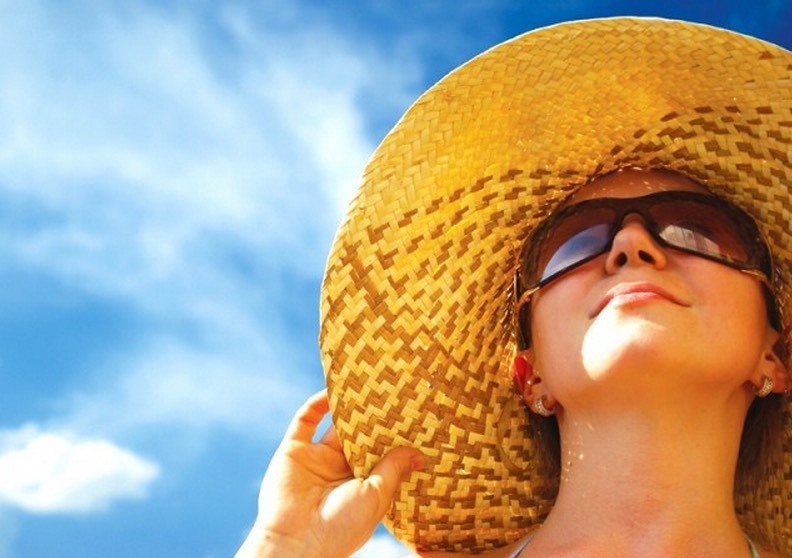 Until fairly recently, most sunscreens were not made to block the ultraviolet A rays. So, having been encouraged to wear sunscreen, many people religiously apply them whenever spending time outdoors. In fact, they spend a longer time in the sunshine than they would normally do without sunscreen, as they don't feel the sunburn warnings. So, this in effect means that they get exposed to UVA rays for a longer time than they would normally. With the availability of higher and higher SPF products allowing individuals to spend greater amounts of time in the sun without burning, concerns have been raised about the adequacy of the related UVA protection of these products. Over exposure to these rays accelerates the photo-aging process of your skin. When you spend a long time in the sun, unprotected from ultraviolet A, this type of radiation can chemically transform and excite certain acids in your skin that then contribute to photo-aging pigmentation changes, fine lines and wrinkles. Common signs of advanced photo-aging include extreme leathering, sagging, and wrinkling of the skin. Chances are you've seen men and women with skin that appears tough, coarse, creased with deep wrinkles, and of course are also very tanned. This is a prime example of someone suffering from sun damage due to too much exposure to ultraviolet A rays. These people tend to have been exposed to long hours in the sun over many years. Examples are those that work all day in the outdoors; participate in sports involving long hours in the sun; or even are just classic sun worshippers who like to lie for many hours in the sun to obtain a tan. Some medical experts now believe that while UVA may not be directly responsible for skin cancer, the damage it does to the skin can enhance the UVB skin damage as well as further development of the skin cancer caused by the UVB ray exposure. In order to protect yourself and your family from the damaging effects of both ultra violet A and B rays, it is really important that you develop excellent sun care habits while accumulating good information to enable you to choose healthy sunscreen products. 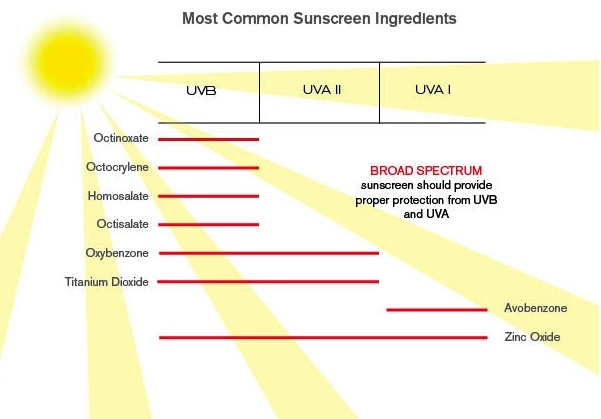 As a starter, choose a 'Broad Spectrum' sunscreen as it will provide protection from both ultra violet A and B rays. Beyond this, try and choose a sunscreen that contains ingredients that will help to boost the skins' natural ability to deal with the effects of the ultra violet A rays. These will typically include antioxidants. The effect of sunlight on the antioxidants present in the skin is important. While moderate sun exposure actually helps to increase antioxidants present in the skin, inappropriate ratios of ultra violet A radiation or overexposure consumes and lowers the antioxidant levels in your skin.